become beloved fixtures of the community. That’s amazing. The last one really does look like real books. They are real books. 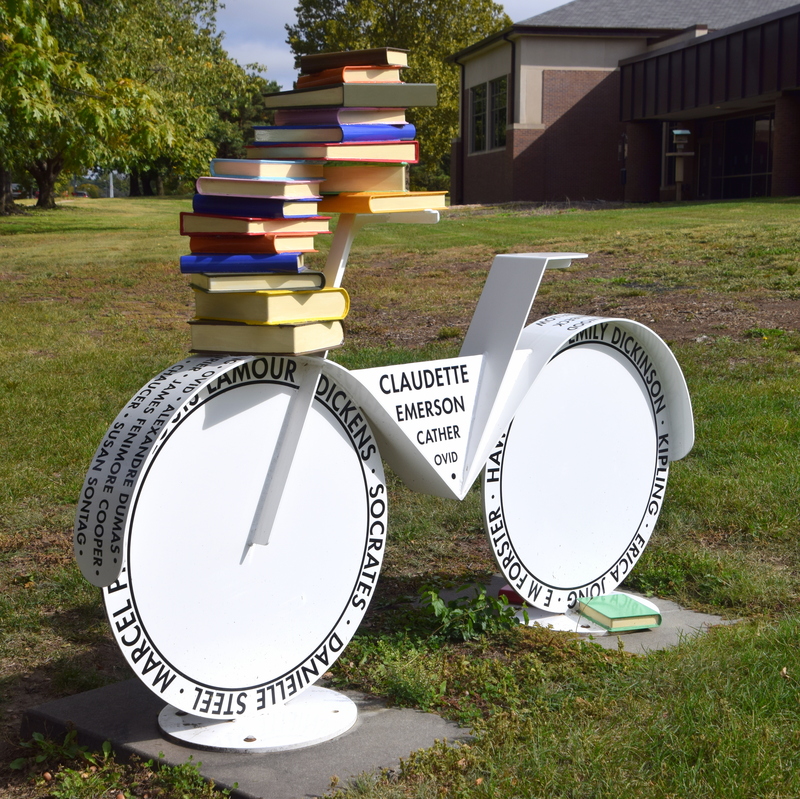 They rehabbed the bike fairly recently and replaced the weather-worn books. 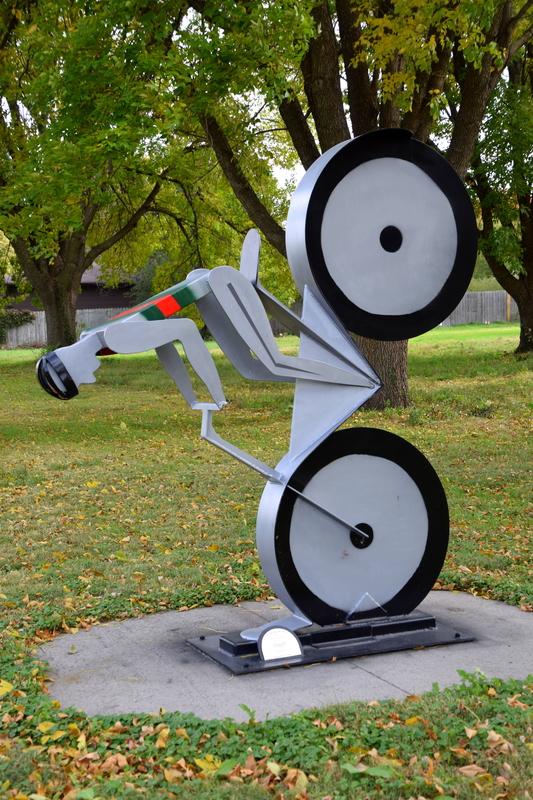 It sits, of course, in front of a branch library! Yes. I smile each time I come across one of these bikes. Hopefully the Nebraska By Hearts of 2016, one in particular, will make you smile every time you see it too!